Senators Jeanne Shaheen (l) and Kelly Ayotte. As more details come out about the shooting in San Bernardino, terrorism threats and measures to restrict guns have become part of the debate surrounding national security. 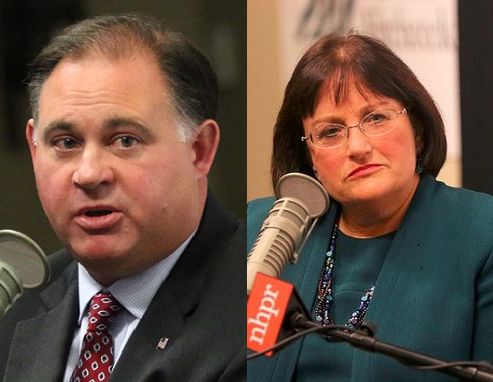 NHPR spoke with both of New Hampshire’s Senators this morning about one of President Obama’s proposals: banning the sale of guns to those on the government’s no-fly list. On the night of President Obama’s address, Republican Kelly Ayotte tweeted that the country needs to prevent those on the no-fly list from accessing guns. That echoed what the president said, but Ayotte says her support for such a measure includes an important condition – ensuring due process. The no-fly list is a subset of the much larger terrorist watch list; of the 16,000 people on the no-fly list, it’s estimated roughly 500 are Americans. And groups like the American Civil Liberties Union have long raised questions about how people end up on the no-fly list. Ayotte and other Republicans back a measure that if someone on the list wants to buy a gun, the burden of proof would then be on the government to show that person poses a threat. Not surprisingly, the New Hampshire Democratic Party was quick to criticize Ayotte for her unwillingness to ban guns from those on the no-fly list – no questions asked. Democrat Senator Jeanne Shaheen sees no problem with that approach. 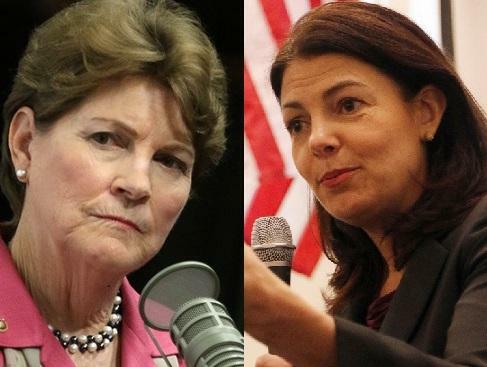 Shaheen also brushed aside Ayotte’s concerns about due process. A spokesman for Gov. Maggie Hassan, who is challenging Ayotte’s re-election, says the governor also supports restricting access to guns for those on the no-fly list – without any conditions – calling it a common sense measure. But where the Senators share some agreement is the fight against terrorism and specifically ISIS. Both Senators think the visa waiver program needs review and agree that Congress should pass an authorization to use of military force against ISIS. They also believe a significant increase in ground troops isn’t the answer. Asked what steps she’s looking for, Ayotte says the president should call together NATO to build a stronger coalition that includes Arab nations engaged on the ground in defeating ISIS. For Ayotte, what the President has been saying hasn’t been strong enough, while Shaheen says his message of 'stay the course' is the right one. And President Obama has called on lawmakers like Shaheen and Ayotte to find common ground on measures to address this ongoing fight. After being forced by a lawsuit to spend more on mental health, New Hampshire is winning praise from a national advocacy group for increasing funding and passing bills in 2015 aimed at giving people better access to care. 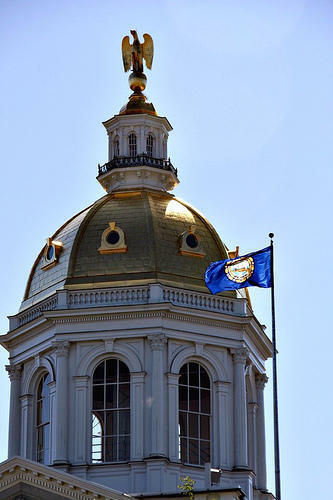 The National Alliance on Mental Illness on Tuesday released a report tracking state spending and legislation on mental health that shows New Hampshire is one of 11 states that increased mental health funding every year since 2013. 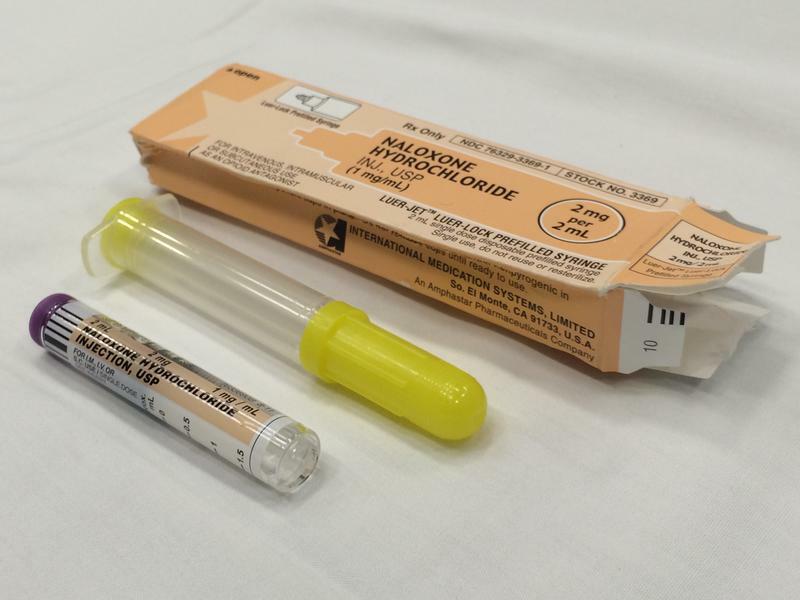 Lawmakers are meeting again this week on Tuesday, Wednesday and Thursday in an effort to figure out how to tackle the state’s opioid crisis. So far, the drug task force has covered topics such as stricter penalties for fentanyl possession and increasing funds for the state’s prescription drug monitoring program. Both of New Hampshire’s Congressional representatives voted Thursday in favor of a bill to add extra screening steps for refugees resettling the United States from Syria and Iraq. Rep. Annie Kuster, a Democrat, was one of 47 members of her party who sided with 242 Republicans to pass the bill. NHPR's Senior Political Reporter Josh Rogers joins Morning Edition most Monday mornings for "On The Political Front." New Hampshire Republican Senator Kelly Ayotte says those on the no-fly list should be banned from purchasing guns. Ayotte made her position known Sunday on Twitter, saying that those on the watch list should not be able to purchase firearms. She also called for due process for Americans who are wrongfully on the list. 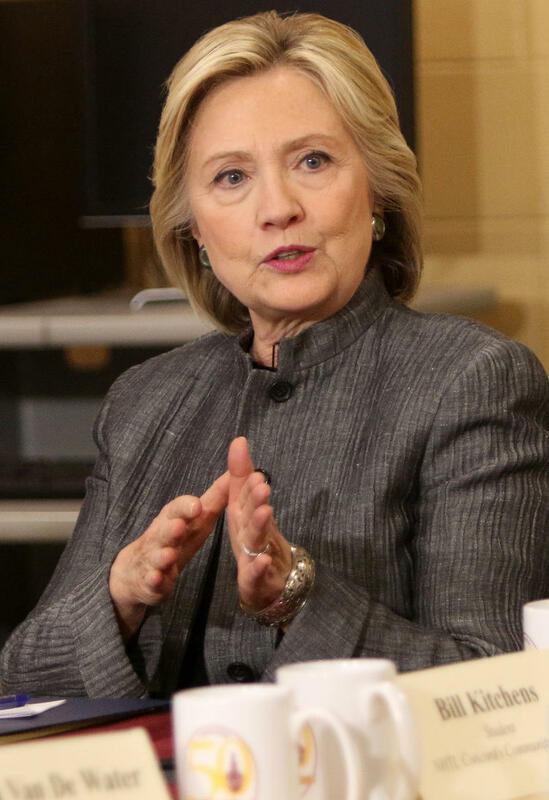 Hillary Clinton told an audience at Keene State College in New Hampshire that more stringent gun laws would save lives, and if she wins election she’d consider implementing a federal gun buyback program, and using executive powers to require universal background checks for gun purchases. 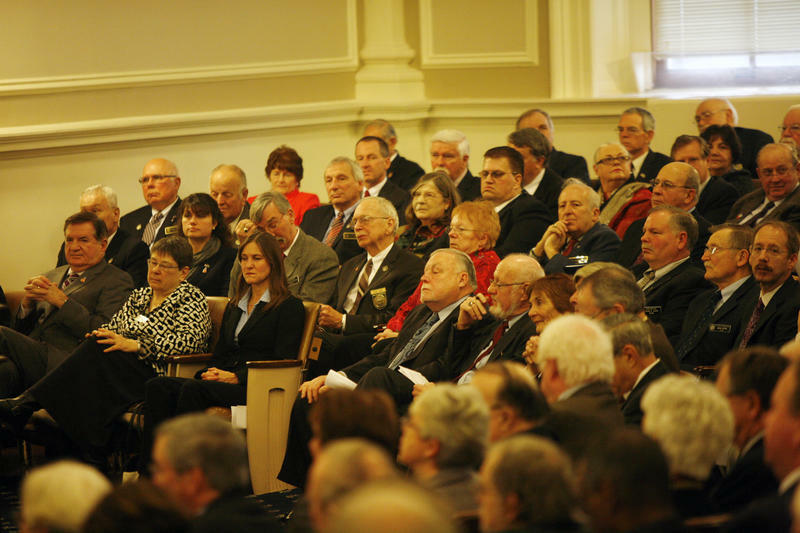 The New Hampshire House voted in a nearly a 2-1 margin to reject a bill to require criminal background checks on all commercial firearm sales. Prior to the vote, Republican John Burt from Goffstown, argued that requiring criminal background checks would be a waste of time. “All this bill is going to do is interrupt law-abiding citizens, that’s all any gun legislation does, because the criminal will always have his gun,” Burt said yesterday.